I Love You More Than Carrots: Stuff Them With Cute. Easter Baskets, That Is! Growing up our Easter baskets were always the highlight of Easter morning. Second only to finally getting to wear that fancy pair of white patent leather shoes with the slight heel that had been sitting in my closet for months on end that I used to sneak into the bathroom to try on because I wouldn't dare step outside in them before the actual day of Easter. Even though our baskets were mostly filled with candy and school supplies, there was always one or two fun things in there, be it a stuffed animal or brand new swimsuit, that we couldn't wait to tear into. It's traditions like these that have further sneaked their ways into the Easter baskets of my little ones. 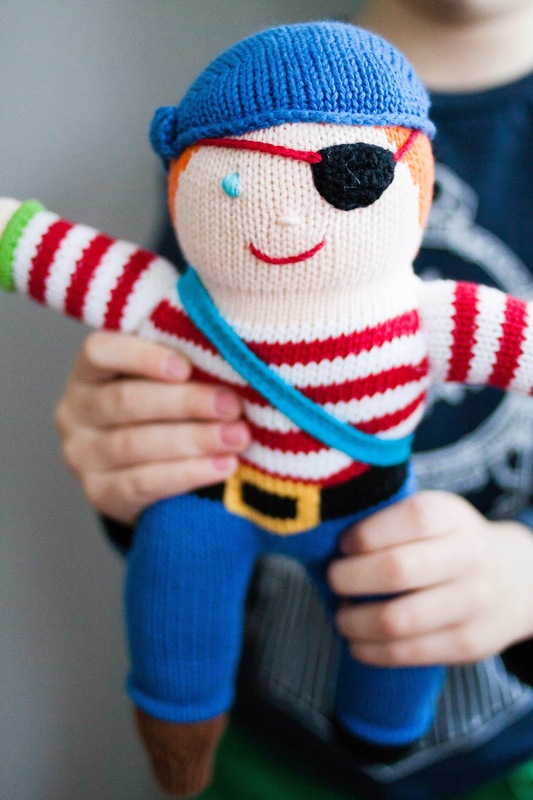 This year I'll be filling each of the boys' baskets with one of the many super adorable Zubels knit dolls from my friends at Peekawhoo. With such a wide array to choose from, I had a tough time narrowing down just which doll would go in which little M brother's basket. After all, I would need three of them this year! 100% hand-knit, 100% cotton and standing at 12" tall, these are some of the sweetest and softest dolls I've seen! 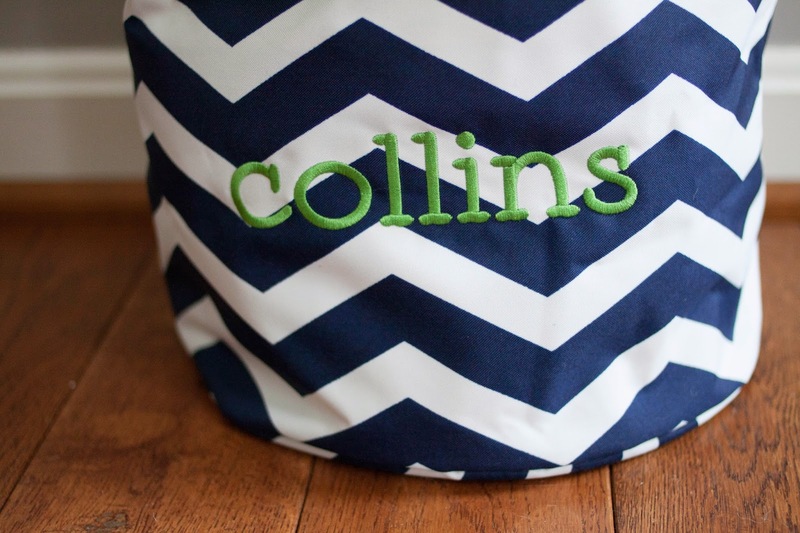 Knowing that the littlest M brother who has yet to arrive probably didn't have an Easter basket of his own, this adorable monogrammed Easter bucket showed up on my doorstep filled with some of the sweetest goodies in the Peekawhoo shop. 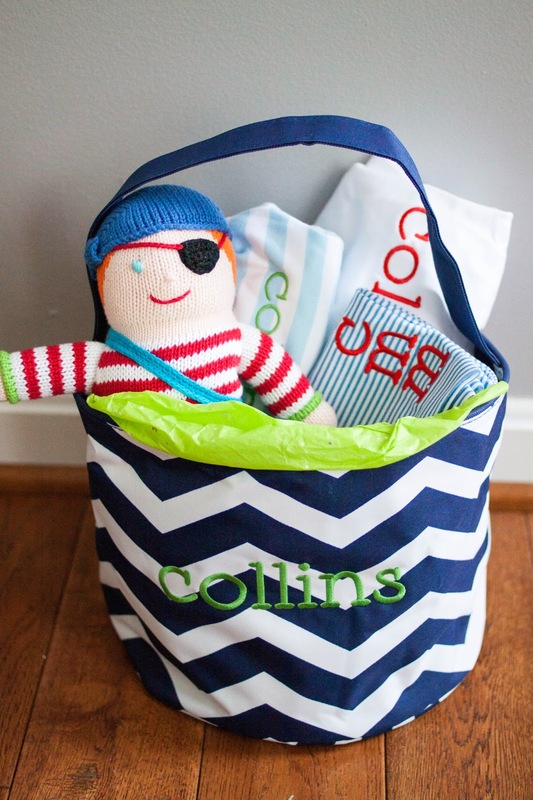 Made of canvas with a comfortable handle and inner lining, this bucket is not only the perfect size and shape for a Zubels knit doll but also for the safe keeping of any and all Easter eggs found during that annual Easter egg hunt! What's even sweeter is that my friends at Peekawhoo are currently running a 10% off promo good for use on their monogrammed Easter buckets, Zubels knit dolls and Zutano gowns pictured above. Having a difficult time deciding what to buy? How about a Peekawhoo Package? Let Peekawhoo take the guess work out of gift giving and choose any one of their packages containing any of the above items (Zubels & Zutano Gown or Monogrammed Easter Bucket and Zubels Dolls) and take 10% off your order! And in case you're wondering which other Zubels dolls found their way into our home, the rabbit and the frog will surely be taking up residence in Carter and Maclane's basket this year! Hoppy Shopping! See what I did there? that is too much cuteness!